Girl With A Surfboard: Surfs Up! It's that time again. International Surfing Day. Time to get out there even if it's flat you can always have fun with the kids or grab your SUP. The day is June 20th so go have fun. Hi there Carin. My name is Ian Swanson. 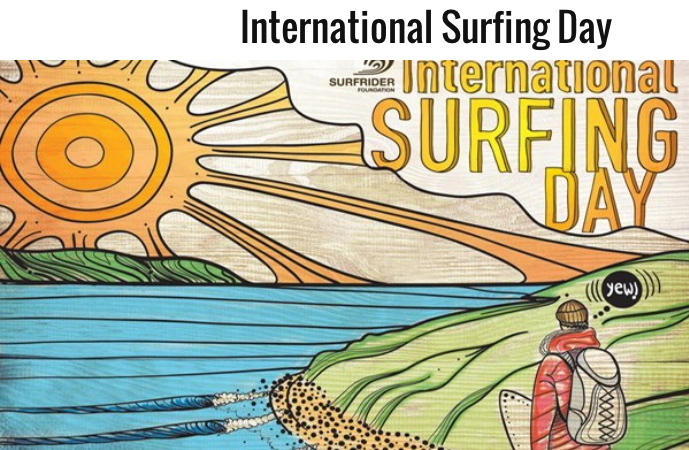 I work for the Surfrider Foundation and I am the artist who did the International Surfing Day art. Thanx for sharing it.